The Children’s House Montessori School was co-founded by owner/director, Korey Dudley. In September 1980 she and her Cal Poly classmate opened the doors of a rented facility in Atascadero for twelve children, ages three and four. Three years later, Korey and her husband Steve acquired full ownership and worked to see the school grow. By 1988, enrollment was at 65 and included a new Early Elementary program. Korey and Steve realized it was time to find a new permanent location where they could design and build a school to accommodate the growing need for a larger Montessori school. They found a beautiful two and a half acre parcel on Monterey Road along the edge of Grave’s Creek Reserve and next door to Monterey Road Elementary School. For the next five years, they worked hard to get a zoning permit from the city and construction loans from the Small Business Association. An architect from Berkeley, who specialized in Early Childhood facilities worked closely with the Dudleys to design a school that would work for their specific Montessori program. Finally in the summer of 1992, ground was broken for the new school. Steve worked on the construction and designed and constructed all the finish carpentry, the landscape and playground, and the school furniture. 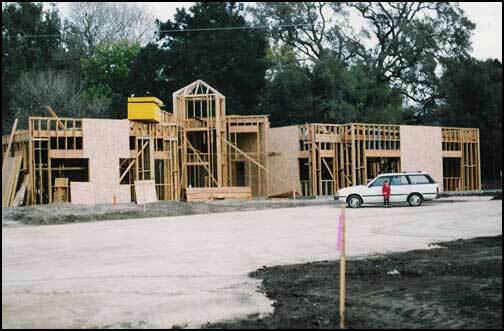 In May, 1993, the children and staff moved into their new 5600 square foot building. In September 1993, in addition to their Primary and Early Elementary programs, they started their new Toddler program for children ages 18-36 months. The new building also housed an extended care classroom, a central kitchen, offices, staff room, and an entry foyer. A small playground was built for the Toddlers, in addition to a large playground for the older children, which included a sensorial garden, barnyard for chickens and rabbits, play structure, basketball court and large covered patio. By 1998, the school was doing so well that parents pleaded for an Upper Elementary classroom through grade six. An addition was designed and built that summer for a 1200 square foot classroom that also included a school library and “Coffee Shop” for parents and staff. During the summer of 2000, an art / music room was added, completing the school and accommodating additional programs. Children’s House serves over 100 children, ages 18 months to 12 years. A staff of about fifteen includes Lead and Support Teachers for the five classrooms, a music teacher, an art instructor, a PE coach, a botany teacher and a full time administrative assistant. Countless parents also provide additional services which may include Spanish instruction, writing lessons, science lessons, etc. Korey Dudley is still owner, director and administrator. 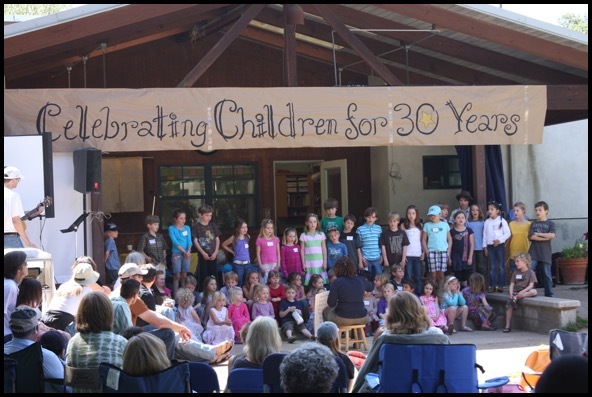 The 2009/2010 school year marked our 30th year in business! To commemorate this momentous event, we held a 30th Anniversary Reunion Party on April 24, 2010. It was an amazing day filled with hundreds of current and alumni students and their families, current and previous staff members and many, many more. Thank you to everyone who made the effort to come by and say "hi."